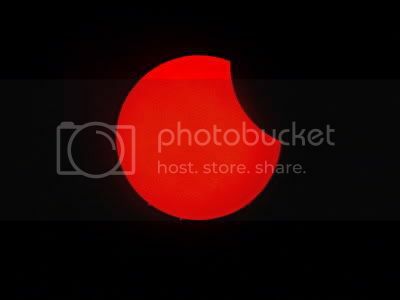 As I promised in the post Solar Eclipse in India, I will just share my experience. I am in Kerala. It was a little cloudy at that time. Couldn't watch at the start. Got a view only at around 6 PM. This is not the actual photo, just a fascimile. It was a small portion at the top right. After sometime, it disappeared.